Monster High™ Releases New Double Feature DVD | Mattel Inc.
EL SEGUNDO, Calif.--(BUSINESS WIRE)-- Monster High™, one of the fastest-growing and most popular tween girl franchises, today debuts its brand new DVD, Monster High™ Double Feature. 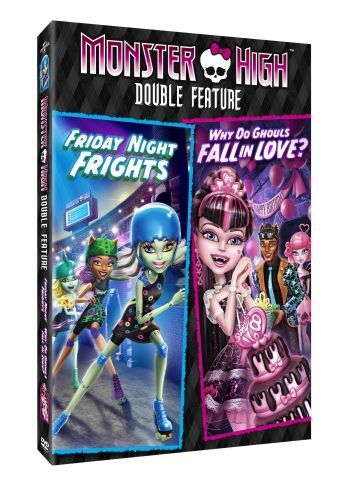 The ghouls of Monster High™ serve up two fang-tastically fabulous adventures in one DVD: When the boys cannot compete in the Skultimate Roller Maze™ Championship, Frankie Stein™ convinces her friends that some "ghoul power" is needed to save the day in the all-new Friday Night Frights. Then, as the epic Sweet 1600th birthday of Draculaura™ approaches, she's got two crush-worthy guys out to steal her heart (literally) in the new-to-DVD movie, Why Do Ghouls Fall in Love? US SRP: $19.98 / CAN $23.99. 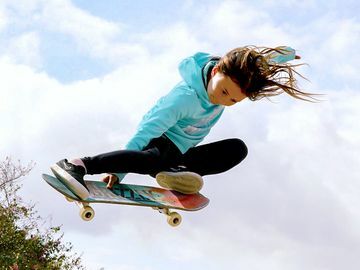 Ketchum on Behalf of Mattel, Inc.